There are a number of ways to manage and cure a headache. Headache cure is not necessarily done through medicines but there are a number of natural ways to treat your headache. It is important to take action and cure your headaches because those who suffer from frequent headaches are well aware of this: The pain from headaches reduces our ability to concentrate, has a negative impact on our productivity, restricts our social activities, and sometimes affects our personal relationships! However, in essence the pain from headache is a warning from our body that there is a “failure” that must be confronted. And when we say “failure” we do not necessarily mean a serious health problem, but small and annoying “imbalances” of our daily life. It is a fact that headache alone, without other symptoms, does not cause any serious organic diseases. Headache can have a number of variations: primary – secondary, migraine, tension headaches or chronic. Headaches are considered chronic if they last for long periods. To make a diagnosis that a patient is suffering from chronic daily headache, the number of days during which shows headaches is equal to or greater than 15 days per month for more than 3 months. Approximately 3% to 5% of adults suffer from chronic daily headache. Women are affected more often than men. However, the only one who can make proper and thorough diagnosis, to distinguish whether this is a dangerous symptom, a chronic headache or a nuisance and to provide, if necessary, the appropriate medication is your doctor. Headaches can be put partly under control with appropriate self-help measures, changes in lifestyle and proper medical care. This will help us reduce the frequency, intensity, duration, and the impact on daily life and also reduce the need for medication. Managing our headaches using self-help measures will also gives us more courage and a sense of self-control to assist us defeat the pain. Headaches can be caused, for some people, by consuming large amounts of alcoholic beverages (especially red wine), dairy products, caffeine and chocolate! Strong emotions (anxiety, anger, depression) and stress of everyday life may be a cause for headaches. For many people the headache, and the thinking that they may get the headache is a source of stress! The secretion of hormones such as adrenaline and cortisone accompanies stress. These hormones may cause, among other things, increase in heart rate and intense breathing, increase in blood pressure and muscular tension. Along with stress, the anxiety and depression situations, exacerbating the problem of headache. The negative emotions and thoughts increase blood biological agents accompanying stress while reducing the Endorphin and other substances that contribute to relaxation and relief of our body. There are many situations in daily life that create stress and negative psychological situations. These include the pressures from work, conjugal problems, parental role, interpersonal relations, economic difficulties and the many other obligations of all forms that burden people everyday. The daily problems also create headaches through stress and negative mental conditions such as depression and anxiety. Women are more vulnerable and therefore are more often than men with headaches. Especially in women, hormonal changes such as ovulation, menopause and menstruation are a major source of headaches. The fatigue of the eyes is one of the most common causes of headaches. 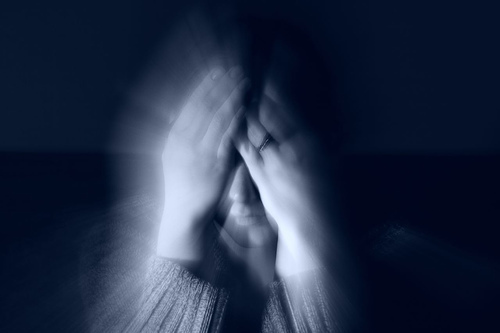 There are various eye diseases that can cause chronic and recurring headache. Hypermetropia: In hypermetropia the object of the image is formed behind the retina. The patient sees blurred and has difficulty to see well objects that are far away or close. The muscle of the eye that regulates the pupil to properly focus on the image of the objects in cooperation with the cornea, works harder to achieve a correction of vision. This extra effort is a cause for headaches. Myopia: In myopia, the image of the objects is formed in front of the retina. The vision is blurred for far objects while for near objects it is good. The efforts of the eye to correct the problem are causing headaches. Headache most of the times does not appear immediately but gradually. Usually we get warnings starting with more mild symptoms and gradually deteriorating. Nervousness, depressed mood, depression, tiredness, restlessness, hyperactivity, euphoria, discomfort from lights, noise and smell, difficulty in concentration, stiffness in the neck, legs tremble, feeling cold, anorexia or severe hunger, intense thirst, frequent urination, drowsiness. After the first appearance of symptoms, a factor that may be exacerbating the problem is the destructive way we think about it because when we focus on our physical symptoms, simply we give them more strength. The way we think about pain and our ability to deal with it may have a definite impact how to get rid of the headaches. This is because it makes us feel anxiety, depression or anger for our situation, and this leads us to dysfunctional behaviours. As the episodes of headaches for many people are repeated (as in other types of chronic pain), it is very easy to start feeling like a “victim”, helpless and powerless against a “pain attack”, or even feeling a failure because you can not control it. 1. Make sure to have a balanced daily program that will include food, rest and sleep! Do not change your eating habits in the hours and sleep as much as possible. 2. Use medications your doctor has recommended to you, do not take larger doses than prescribed, and do not stop medication without your doctors advice. 3. Include relaxing activities in your schedule. Try to do things that make you happy and relaxed. 4. Watch your body posture: the tense muscles (neck, back, face, jaw, even the squeak of tightness or teeth) due to stress or poor body attitude tend to increase headaches. 5. Locate the stressful factors that dominate your daily life and arrange them in your head: organize your time better, share responsibilities, obligations and feelings with people around you, tell a heroic “no” (or several if necessary ). In the case that the above techniques did not work and you still have a headache then you can take the following actions to cure your headache. The main objective for the treatment of headaches is to learn to avoid the factors and situations that can cause a headache and to adopt the appropriate protective measures. As explained above headache is not a random phenomenon but has some well-known causes. It is something that may be caused by external factors (as described above) and internal factors that have to do with the way we think and with things we do. Therefore, it is not as rampant as many times we believe. Thus, we need to be able to recognize these factors, to learn to avoid them or at least to manage them more efficiently. Record any strange feelings you have before the start of the headache and find how often these symptoms occur. Distinguish between those strange feelings and situations that actually cause you a headache and those feelings that are not. Record all of your “suspicious” and their frequency (stressful events, sleeping difficulties, hormonal factors) to understand what and how they relate to your headaches. Include in your recordings the following information: Date / Time – event / situation (what happened at that time, what have I done, where I was, etc.) – symptoms that caused the headaches – intensity and duration of pain – other accompanying symptoms – Potential “impeller” (e.g. what I had eaten before) – what thoughts did I made. Stay calm. Thoughts like “these headaches will never stop”, “is terrible, I can not do anything” or “the pain will not let me do nothing all day” will not help you cure your headache, on the contrary they will not let you do anything all day! Adopt a more functional and active attitude towards them: e.g. “Is annoying, but I will try new ways to address them, I will prioritize my priorities and I will be able to make some of the things I want today, despite the headache”. If possible avoid factors that make headaches more intense. For example do not drink a lot of coffee, do not stay hungry, etc. Instead try to overcome your headache by staying relaxed and focused on your activities. Avoid further stressful conditions: do not take extra work, cancel any obligations and try to relax. … Be polite to your self, as you would for someone else. Do not try to finish everything you have to do before the headache becomes more intense. The objective is to manage the headache, avoid or reduce its intensity, and not be pressed and help it expand. Distract your attention from pain. Concentrate for a few minutes in a non-demanding intellectual activity, neutral, repeated or pleasant. E.g. try to remember the lyrics from your favourite song make in your mind a shopping list or try to think something pleasant that will make you happy. Try to create a picture in your mind illustrating the pain from the headache as less annoying. E.g. if you feel the pain as “vice which tightens your head”, change the image to make it more bearable: imagine the vice to relax or even to open gradually, or change the material from metal to soft. For the relief of headache pain, which is due to stress, you may initially use medicines such as analgesics paracetamol, non-steroidal and aspirin. Activities such as relaxation, meditation, yoga, reading a good book, watching a good film, physical activity (walking, cycling, swimming, jogging) may help to fight headache that is due to stress. Exercise can also help to treat depression and other negative psychological situations. The massage in the head, neck, shoulders, and arms is a good method of headache relief. The hypnosis, the placement of ice on the face, a warm bath, treatment with magnets or small electric currents, are additional methods that can be used to deal with stress and headaches.